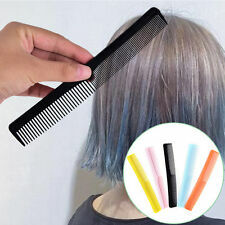 1 Pc Hairdressing Comb. Material: Plastic. Color: Black. Due to light and monitors effect, color difference may exist slightly. The images are for reference only. Nice gift for your friends or sisters or yourself. Item Type: Comb. Material: Peach Wood. Color: Wood Color. Thickness: 1.0cm. Very good gliding ability when combing through the hair. The comb flexible and slides easily through both wet and dry hair. Chemical and heat resistant Antistatic (prevents fly-away hair). Check out ourother combs! Foot Plantar Compression Sleeves Heel Relief Ankle Socks Health Care N7. Cable Organizer Digital USB Earphone Gadget Storage Case Bag Travel Kit Pouch N7. Silicone Non-slip Resistant Holder Mat Kitchen Trivet Tray Straightener Heat N7. Material: Sandalwood. Model: comb. 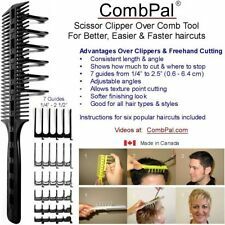 1 piece comb. High strength wood, heavy and hard substance. Due to light and monitors effect, color difference may exist slightly. 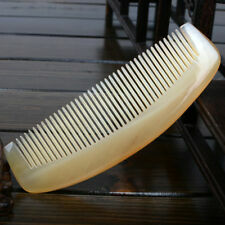 This hair comb is made with a artificial horn and green sandalwood. Material: artificial horn green sandalwood. Help to relieve tension, massage scalp and distributes oil, perfect for use with balms and oils. Wooden Comb. Natural Wood Comb. Wooden comb made from natural wood. Due to the fact, that wood is organic each item’s color and texture may vary from the pictures shown. Important Notice BULKS ORDERS. Fine Toothed Nit Comb. 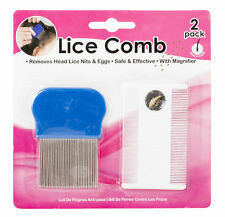 For Head Lice and Eggs Detection and Removal. The teeth have round edges to prevent any scalp injury. Head Jog R2 Sawcut Professional Hard Rubber Comb For Barbering Hairdressing Length Approx 19 cm (190mm) Width Approx 2.5 cm (25mm) This is a brand new genuine item direct from the manufacturer A professional R2 Saw Cut Comb. 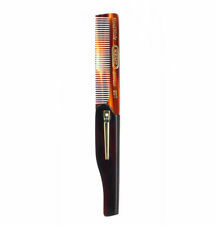 This comb is made from ebonite which is a hard rubber and synthetic rubber. 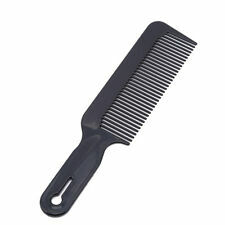 Combs made from 100% hard rubber can be fragile but this unique compound makes this comb perfectly suited for the salon as the compound makes anti fragile and are more robust. Thick and thin teeth make this suited for all hair types. Perfect accessory for all barbers & hair stylist. Made of high quality plastic. Material: plastic. Quantity: 10Pcs. Size(LxW):17.5x2.5cm. 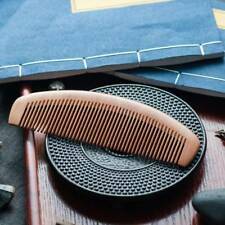 Professional Hairdressing High Quality Cutting BarberShop Comb White 8.5"
Natural Peach Wood Pocket Comb. 90 & 120 mm comb. Head Massage. Healthy Anti Static. 170 mm x 50 mm. Bank details can be. and bank deposit. via bank deposit so we. Perfect accessory for all barbers & hair stylist. Made of high quality plastic. Material: plastic. Quantity: 5 Pcs. Size(LxW):17.5x2.5cm. All In One Bottle Opener Jar Can Kitchen Manual Opener Gadget Multifunction LH. 36x PUZZLE EVA FLOOR PLAY MATS INTERLOCKING ABC ALPHABET NUMBER FOAM LEARNING LH. 12Pcs/set Belly Dance Scarves Juggling Colorful Sensory Toy For Baby/Toddler LH. 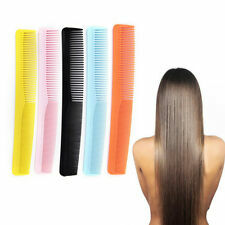 2PCS Plastic Comb Double Use Wide Fine Tooth Hairdressing Salon Hair Comb. Perfectly used to comb your hair evenly in daily life. Notes: The real color of the item may be slightly different from the pictures shown on website caused by many factors such as brightness of your monitor and light brightness.